Please use the size chart below to help you choose the correct size. 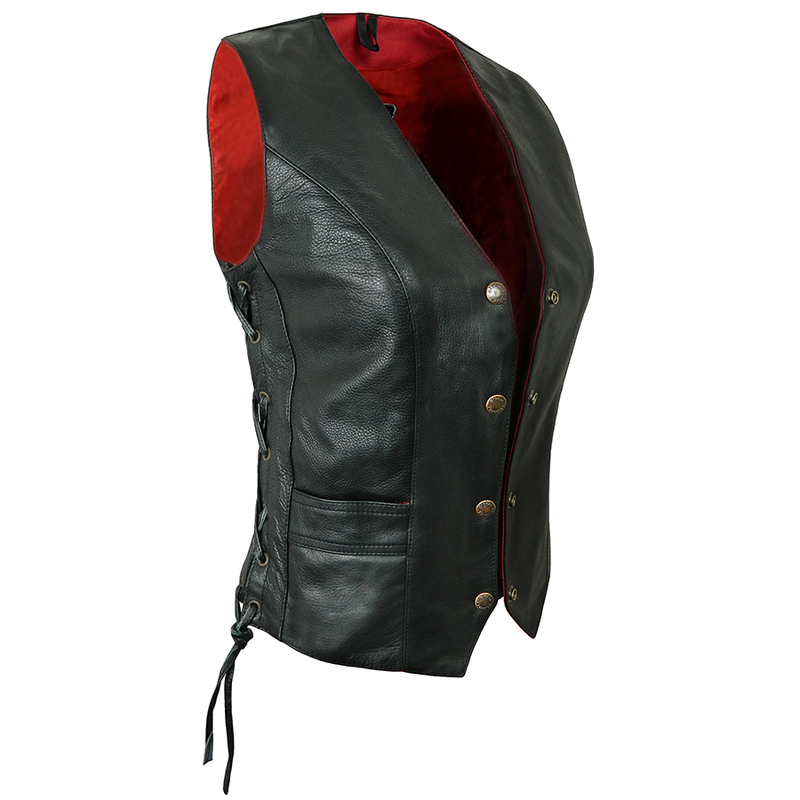 A new and improved design on our old tie side leather waistcoat/vest. Beautifully styled to be a flattering fit that makes the most of your curves. 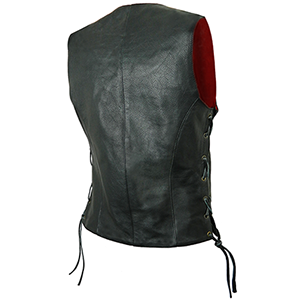 Made in soft, supple black leather with a bright red cotton lining. One inside zipped pocket. Two external, open pockets. Open tie sides (no gussett) with strong leather ties. *Scottish Highlands receive free delivery on orders of £120 or more (please click on 'Delivery Charges' under the 'Buy' button to find out more). Please note that your parcel will need to be signed for and will not be left unsigned for.